Next week is 'Go Green Week' and to help raise awareness we are holding a Waste Not, Want Not Recycling Roadshow on Tuesday 10 February. 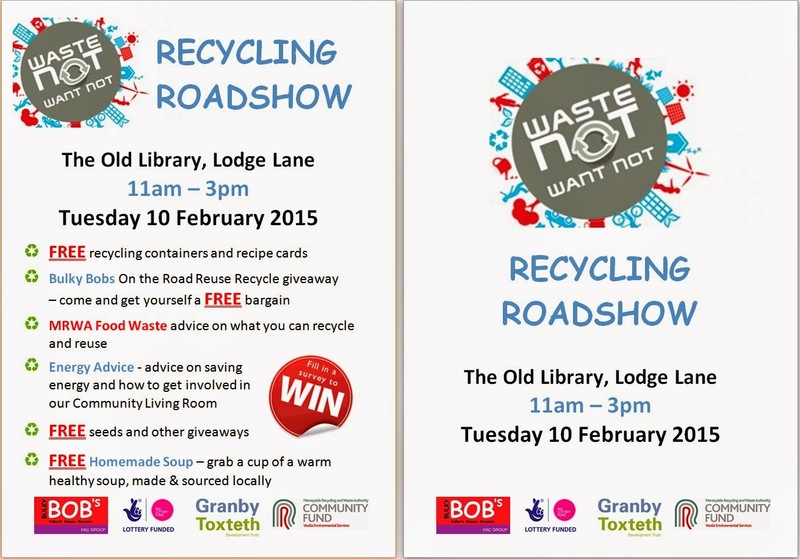 Starting at 11am in the Old Library on Lodge Lane, we are going to be showcasing a variety of ways you can recycle, save energy and generally Go Green, as well as giving away lots of things FREE including furniture from Bulky Bobs. So why not pop along, say hello, grab yourself some freebies, have a cup of yummy homemade soup and fill in a survey and possibly win a hamper of Green goodies!